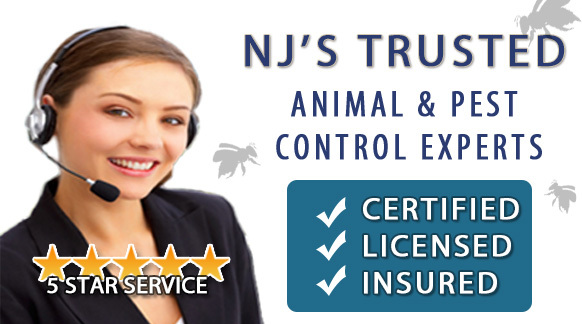 ALCO Animal & Pest Control is a professional animal and pest control company in NJ that offers same-day services for all of your animal and pest control needs. The products we use at ALCO Animal & Pest Control are environmentally friendly and safe to use around your pets and family. No matter what type of pest infestation you have, our products can eliminate your pest infestation in NJ for good. Do not waste your time using pest control products that only provide a temporary fix. While pest control products found in your local store may get rid of the bugs currently invading your home, they are not guaranteed to prevent the pests from returning. At ALCO Animal & Pest Control, our pest control experts will end infestations in your home and prevent them from happening again. Waking up at night for a midnight snack, flipping the light on, and watching cockroaches scurry away is enough to keep you up until dawn. Our professional pest control company in NJ eliminates ant infestations, bed bugs and other pests that seem impossible to eliminate. We'll come in, assess the problem, find where they are lurking, and take them out. Once we perform our services, you'll promptly notice a significant difference. Some pests, including bed bugs, require additional visits to ensure they have all been removed. Our methods keep your safety and comfort in mind, and we will continue to address the pest infestation until it is eliminated from your home and preventative measures have been put into place. We are committed to customer satisfaction. When our professionals come to assess your home for infestation, we not only remove the pests from your home or office, but provide protection from future infestations. Our trusted pest control company in NJ understands how difficult it can be to live comfortably when you know you and your loved ones aren't the only ones in the house. At night, sleeping can become difficult or near impossible when you hear scurrying, scratching, or other noises from pests roaming around your home. We work without delay to remove animals and pests, restoring peace-of-mind within your home. We use humane treatments when removing small animals and rodents from your home or office in NJ. Our humane pest control company in NJ knows that when small animals enter your home, they tend to act out of defense or fear. While this can present dangerous situations, we believe that these animals should be removed without injury to you or them. When we capture a small animal, or animals, from your home, we release them back into the wild - far from your home. Our pest control company in NJ has years of dedicated service to residents and commercial property owners, and we live up to our high standards by performing our pest removal services wtih integrity and timeliness. Our animal removal experts will stop the animals from causing any excess damage to your property. In dangerous situations, our emergency pest control company in NJ is available 24 hours a day for same-day pest or animal removal. You can trust ALCO to provide pest control without delay, when you need us. Additionally, at ALCO Animal & Pest Control, our pest control experts also remove bees, birds and wildlife from your home or office location. Contact ALCO Animal & Pest Control for same-day animal and pest control in NJ at: (862)220-5297.